The second annual, Buck Up For Kids, presented by The Boys & Girls Club of the Ozarks, will take place June 1 through July 31, 2017. For two months, people will be able to purchase white and blue knuckles for $1 and white and gold knuckles for $5 and they will proudly sign their names to each knuckle. The signed knuckles will be displayed on the walls and windows of participating businesses in Stone and Taney County. Every donated dollar will stay in the community and will go directly to support Boys & Girls Club of the Ozarks. Annual operating expense for the Club is $2 Million Dollars – a need met by community members like you. 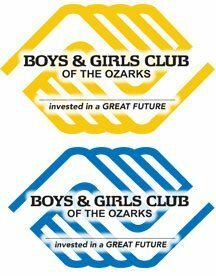 Boys & Girls Club of the Ozarks serves over 1,600 kids each year. In 2016, we served over 111,000 hot meals to our members at no additional cost to them. Membership to the Club is $30 per child per school year. However we will never turn a child away for their inability to pay. Your participation in Buck Up For Kids makes all the difference!